The Uncle Si Call is a single reed call made of polycarbonate. This call will get 'em right into the decoys, JACK! Designed to be raspy and easy to blow, this call is nothing short of ducky. This is a great call for a beginner--but will ring for a seasoned caller. Echo Wood Calls are handsomely designed with a polished brass band for beauty and strength. These are beautiful calls that produce a wide range of tones, from loud hail calls, to soft raspy quacks. Echo Wood Calls are available in several types of woods as pictured below and are available in Open Water and Timber models. This is a truly beautiful, well-crafted hardwood duck call with great sound! It has a hand turned solid Padauk barrel with inlaid woods of Padauk, Babuglia and Jalneem. The barrel is about 3 1/8 inches long and is 1 1/4 inches at its widest point, bored to 5/8-inch diameter, and has a classic brass band finish at the insert end. The assembled length is about 5 inches. The finish is 5 or more layers of polished lacquer, which brings out the beauty of the wood's grain. The insert is amber acrylic with a rubber wedge which will not shrink or swell, and has a single reed. The tone board, combined with natural hardwood deliver a rich, natural, full bodied rasp with the louder, high-end timber sound, while still delivering nice low-end tones used for finesse calling. Handcrafted by Classy Duck Calls! Great Gift Idea! Make your own duck calls using these inserts. Available in 8 colors Smoke, Black, Red, Bourbon, Green, Pink, Clear, and Blue! The E Caller is an Extra Loud Competiion Grade duck call Insert it will reach out to ducks like no other, Named after my Grandson Ethan Wood! This is a truly beautiful, well-crafted hardwood duck call with great sound! It has a hand turned solid Wenge Wood barrel is about 3 1/8 inches long and is 1 1/4 inches at its widest point, bored to 5/8-inch diameter, and has a classic brass band finish at the insert end. Wenge is a beautiful hardwood with tight alternating wood grain, revealing black and shades of brown. The assembled length is about 5 inches. The finish is 5 or more layers of polished lacquer, which brings out the beauty of the wood's grain. The insert is amber acrylic with a rubber wedge which will not shrink or swell, and has a single reed. The tone board, combined with natural hardwood deliver a rich, natural, full bodied rasp with the louder, high-end timber sound, while still delivering nice low-end tones used for finesse calling. Handcrafted by Classy Duck Calls! Great Gift Idea! This is a truly beautiful, well-crafted hardwood duck call with great sound! It has a hand turned solid Wenge barrel is about 3 1/8 inches long and is 1 1/4 inches at its widest point, bored to 5/8-inch diameter, and has a classic brass band finish at the insert end. Wenge is a beautiful hardwood with awesome, tight, alternating black and brown shades of wood grain. The assembled length is about 4 3/8 inches. The finish is 5 or more layers of polished lacquer, which brings out the beauty of the wood's grain. The insert is amber acrylic with a rubber wedge which will not shrink or swell, and has a single reed. The tone board, combined with natural hardwood deliver a rich, natural, full bodied rasp with the louder, high-end timber sound, while still delivering nice low-end tones used for finesse calling. Handcrafted by Classy Duck Calls! Great Gift Idea! This is a truly beautiful, well-crafted hardwood duck call with great sound! It has a hand turned solid Wenge barrel is about 3 1/2 inches long and is 1 1/2 inches at its widest point, bored to 5/8-inch diameter. Wenge is a beautiful hardwood with tight alternating wood grain, revealing black and shades of brown. The assembled length is about 5 inches. The finish is 5 or more layers of polished lacquer, which brings out the beauty of the wood's grain. The insert is amber acrylic with a rubber wedge which will not shrink or swell, and has a single reed. The tone board, combined with natural hardwood deliver a rich, natural, full bodied rasp with the louder, high-end timber sound, while still delivering nice low-end tones used for finesse calling. Handcrafted by Classy Duck Calls! Great Gift Idea! This is a truly beautiful, well-crafted hardwood duck call with great sound! It has a hand turned solid Padauk barrel with inlaid woods of Padauk, Babuglia and Jalneem. The barrel is about 2 1/2 inches long and is 1 1/4 inches at its widest point, bored to 5/8-inch diameter, and has a classic brass band finish at the insert end. The assembled length is about 4 3/8 inches. The finish is 5 or more layers of polished lacquer, which brings out the beauty of the wood's grain. The insert is amber acrylic with a rubber wedge which will not shrink or swell, and has a single reed. The tone board, combined with natural hardwood deliver a rich, natural, full bodied rasp with the louder, high-end timber sound, while still delivering nice low-end tones used for finesse calling. Handcrafted by Classy Duck Calls! Great Gift Idea! This is a truly beautiful, well-crafted hardwood duck call with great sound! It has a hand turned solid Padauk barrel with inlaid woods of Padauk, Sheesham, Jalneem, and Ebony. The barrel is about 3 1/2 inches long, and is 1 1/2 inches at its widest point, bored to 5/8-inch diameter. The assembled length is about 5 inches. The finish is 5 or more layers of polished lacquer, which brings out the beauty of the wood's grain. The insert is amber acrylic with a rubber wedge which will not shrink, and has a single reed. The tone board, combined with natural hardwood deliver a rich, natural, full bodied rasp with the louder, high-end timber sound, while still delivering nice low-end tones used for finesse calling. Handcrafted by Classy Duck Calls! Great Gift Idea! 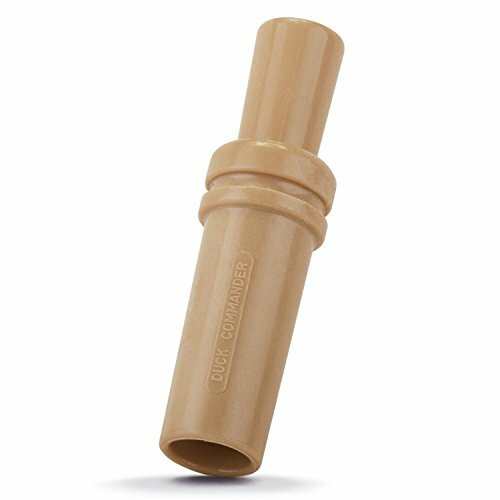 Looking for more Wood Duck Single Reed similar ideas? Try to explore these searches: Diamond Base Molding, Madras Curry, and Lychee Scented Candle. Look at latest related video about Wood Duck Single Reed. Shopwizion.com is the smartest way for online shopping: compare prices of leading online shops for best deals around the web. Don't miss TOP Wood Duck Single Reed deals, updated daily.